People have been playing with unexploded airbags since the dawn of time, it would seem. 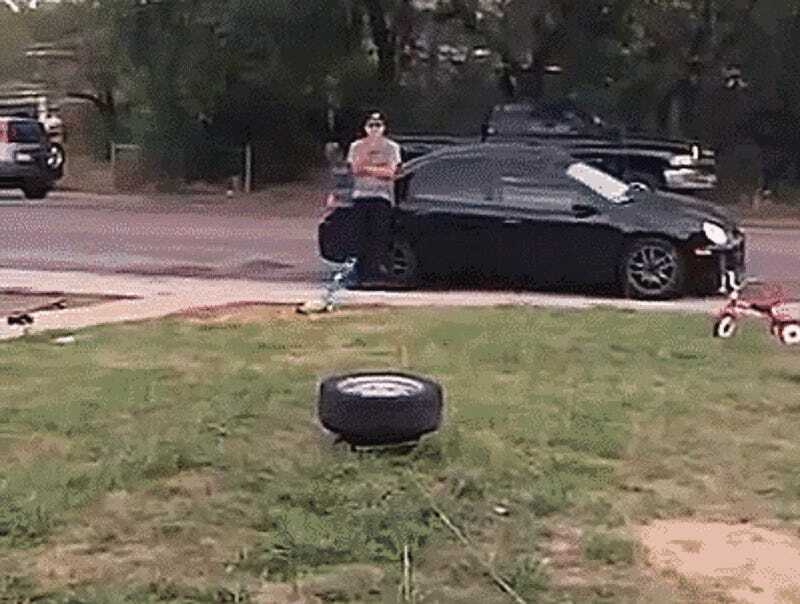 This group of backyard idiots scientists decided to use one to launch an entire wheel into the sky. When you have to ask “where is the wheel? !” you’ve made a mistake. 10 seconds later.. there it is! Rolling away from the car it just imploded. Laugh it off now, but just you wait until you’re dealing with that warped roof and blown out window in winter. Something something have you seen Free Wheely?